2012 Storytellers Festival — Sakewewak Artists Collective Inc.
First held in 2001 as the Distinguished Storytellers Series, the Sâkêwêwak Storytellers Festival has evolved into an annual multidisciplinary festival that presents a diverse array of renowned storytellers, artists, and academics from around the world, who engage our audiences in contemporary cultural expression, thought and dialogue derived from our oral traditions. As a presenter on Treaty for OTC at many and varied audiences, Mr. Starblanket will speak on the "Treaty Four As Covenant – The Spiritual Commitment of Indigenous Peoples to Treaty Four." He will attempt to bridge an understanding between European Christian peoples and Indigenous Nations in their undertakings in the Treaty based on their own belief systems. He will draw from his many decades of negotiation, advocacy and struggle to obtain recognition for Treaty Rights and the price he has had to pay for such action. He will draw from many sources to describe all of these topics including literary publications. Though history has not been necessarily kind to Indigenous peoples it has been the strong belief in their spiritual commitment that has held them to admonish European peoples to adhere to their own principles and universal truths of their belief system. Though men were leaders and spokesmen in 1874, Mr. Starblanket also speaks to the input of women during the Treaty negotiations. He will speak to many of the Treaty terms, the undertakings from a political point of view along with the legal derivations. He will also cite the horrible deviations of a colonialist government in their attempt to "civilize, assimilate, christianize" even to the extent "to kill the Indian in the child." Though the presentation may be muted in some respects, the facts of history will not be sugar coated. Desmond Merasty and Anthony Ballentyne are two young hip-hop artists who make beats in Sandy Bay, SK. They will do a short performance of their work followed by a conversation about how they continue to practice and live in Sandy Bay -- a remote community in northern Saskatchewan. Desmond is well known in his community as a youth leader. Desmond Merasty and Anthony Ballentyne are two young beat and hip hop artists who live in Sandy Bay, Saskatchewan. They have been writing beats for seven years and often send out their material through the internet to other hip hop artists. They receive many comments and requests for beat making. This will be their first appearance at Sâkêwêwak's Storytellers' Festival. Jacob Pratt is Dakota/Salteaux from Cote First Nations. He has been a pow-wow dancer since he was very young and continues to dance. He has expanded his dancing to include the hoop dance and travels all over Canada, USA and overseas for his performances. In addition to dancing Jacob has been playing the Traditional Native Flute since he was fourteen years old. He released his first CD entitled “Eagle Calls” which won the Aboriginal Peoples Choice Music Award for Best Flute CD in November 2011. He has also recently started his own performance company called Wambdi Dance. Some of his past accomplishments include research with the Amazon Conservation Team in the Brazilian Amazon, speaking at United Nations working groups, a committee member of the National First Nations Environmental Contaminants Program and performer for the 2010 Winter Olympic opening ceremonies. Brothers, Waylon & Preston Littletent, have been singing since they were five years old. Many of the songs they sing have been passed down to them by their father, the late Kirby Littletent. From rounddance to powwow to various ceremonial songs, they've travelled throughout Canada and the U.S. singing and dancing. They make their home in Regina and are from Kawacatoose First Nation. 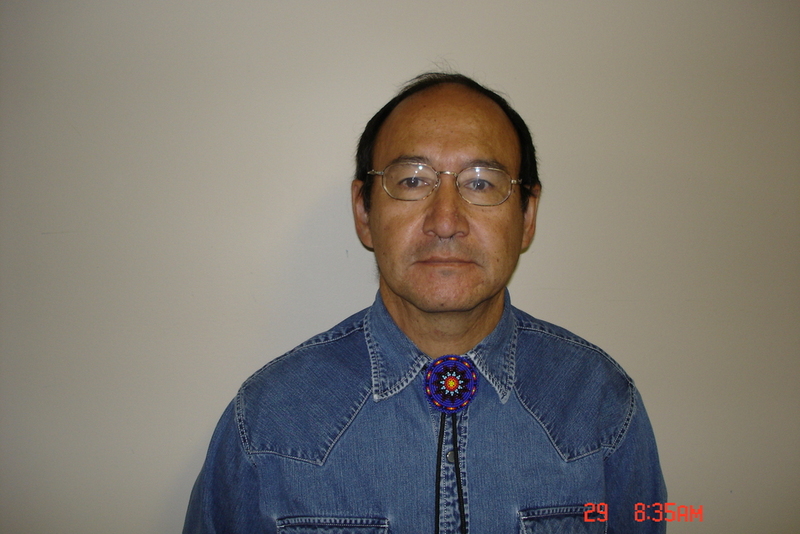 Edward Poitras is a member of the George Gordon First Nation and resident of Treaty Four Territory. He is an artist who has always recognized his mixed heritage – Métis/Cree/Saulteaux – as a powerful source of energy, creativity and contradiction. Poitras has remained connected to his community, exhibiting with and mentoring emerging artists through his involvement with groups including Tribe Inc. (Saskatoon), Sâkêwêwak Artists’ Collective (Regina), and New Dance Horizons (Regina). Poitras has exhibited extensively across Canada, as well as in the United States and Europe. His selection as the first Aboriginal artist to represent Canada at the prestigious Venice Biennale marks a recognition of his distinctive contribution to the questions of “Identity and Alterity,” the theme of the 1995 Biennale. Throughout his career, Poitras has been instrumental in organizing, producing, and participating in performance art, dance, and theatre works. He has created a number of sets, costumes and light designs in collaboration with various artists, including: Floyd Favel Star, Richard Martel, Benoît Lachambre, Jocelyne Montpetit, Bill Coleman, Boye Ladd, Bruce LaBruce, and Robin Poitras. Edward Poitras is a recipient of the Governor General’s Award in Visual Arts (2002), the Lieutenant Governor of Saskatchewan Arts Award for Innovation (2005), and an Eiteljorg Fellowship for Native American Fine Art (2009). David West will do a short performance followed by a talk about his life and work as an Ecuadorian Blues artist based in Toronto. See below for David's bio. Margaret Cote is the Saulteaux Cultural Advisor at the Aboriginal Student Centre, University of Regina. She is a member of Cote First Nation. She is a recently retired Assistant Professor and former coordinator of the Saulteaux Language Studies degree program for the Department of Indian Languages, Literatures and Linguistics at the First Nations University of Canada. Margaret has taught her First Nations language, Saulteaux (Plains Ojibway) for the past 32 years. Her most recent publication, Nēnapohš Legends: Memoir 2, has been short-listed for this year's First Peoples Writing Award, Sask Book Awards. Kevin Lee Burton (Swampy Cree) is an award winning director, programmer and editor. In 2005, his film Meskanahk (My Path) won the Cynthia Lickers-Sage Award for Emerging Talent and in 2007 his experimental film Nikamowin (Song) received the Best Experimental and Best Indigenous Language Production awards at the ImgineNATIVE Film + Media Arts Festival in Toronto. Kevin has also worked with the National Film Board of Canada, creating his short film Writing the Land, which has also garnered awards in the festival circuit. Kevin has worked as program assistant for the Native and Indigenous Initiative at the Sundance Institute in Beverly Hills, California and is an associate programmer for Out On Screen’s IndigeQUEER program in Vancouver. Trained at an all-Aboriginal training Program (Indigenous Independent Digital Filmmaking Program) in North Vancouver, British Columbia, Kevin has been carving a niche in working with his ancestral language, Cree. Kevin is originally from God's Lake Narrows First Nation in Manitoba, Canada. "My greatest goal is to create a fluid connection between "traditional" and technological ideas, so that the word "contemporary" is diminished to the mere segregation that it really is -- then we can start creating from self-expression other than self-definition." Dr. Janice Acoose's roots stem from the Sakimay Saulteau First Nation and the Marival Metis Community. A proud Koochum to four beautiful grandbabies and mother to two wonderful sons, she describes herself as an educator, writer, and acitivist. One of just a few Indigenous-Canadian women with a doctorate in English, Acoose is an accomplished writer of criticism, fiction, poetry as well as a journalist, and script writer. Her work has appeared in such critical anthologies as Reasoning Together, (Ad)dressing Our Words, Looking at the Words of Our People. Moreover, her decade old Iskwewak Kah Ki Yah NiWakomakanak continues to still be widely used in post secondary institutions both in and outside of Canada. At present, Dr. Acoose is serving as consultant to SALN while also preparing for publication of her dissertation entitled Minjimendaamowin Anishinaabe: Reading and Righting All Our Relations in Written English. Dr. Blair Stonechild is a member of the Muscowpetung First Nation. He is a Professor of Indigenous Studies at the First Nations University of Canada (FNUC) where he has taught for 32 years. Blair has conducted extensive research on Treaty 4 land claims and has helped in restoring the Treaty 4 Ground at Fort Qu’Appelle. He was involved in efforts to establish the Treaty 4 Keeping House and is currently a member of the Treaty 4 Heritage Committee, a group authorized by the Treaty 4 chiefs to research and restore Treaty 4 history and culture. Blair was appointed a Trustee of Canada’s national museum, the Canadian Museum of Civilization from 1990 to 1998. He has authored 3 books, the latest being the authorized biography of the singer who hails from Piapot, Buffy Sainte-Marie: It’s My Way. The biography is due to be released later this year. Jeff Crowe plays the Delta Slide Blues Guitar. He picked up the guitar when he was 13 and is self taught. His first performance on stage was for Sâkêwêwak’s Storytellers Festival in 2002 and that started and encouraged him to play for live audiences. During 2002, he then made appearances at an open mike coffee house called Easy Alibi in Regina where he met local musicians and honed his stage performance. He played for the Storytellers festival again in 2005 and attributes his music career to Sâkêwêwak for encouraging his talent with the guitar. Jeff has opened for Jack Semple, Dan Silljer, Lil Miss Higgins Band and has played alongside Erroll Kinistino and Robert Hoeck. Jeff Crowe has done many blues shows for Jeff Corbett of CJTR in Regina. Jeff also recently played for the Regina Mid-Winter Blues Festival. Dave West’s guitar style is nothing short of musical alchemy! Dave’s exuberant and unique fingerstylings and fiery licks give his guitars a voice all their own. With his superb sensitivity to colour and tone, this musical prodigy has thrilled audiences the world over with his stunning virtuosity. Dave was born in Ecuador and grew up in Canada. By the age of eight he had already begun to master the piano, drums and saxophone, influenced greatly by his uncle. He soon began performing regularly alongside blues legends like Robert Penn and Lady Zoom, while he continued to further his education in Ecuadorian, flamenco, Brazilian and jazz music. It was around this point that Dave began to recognize a deep longing to connect with his aboriginal roots and musical heritage. Among his most recent performances, Dave’s work on the Papa Duke concert was filmed during the 2006 Festival International de Jazz de Montreal that aired on PBS in the United States in 2009. He has also performed for the Canadian television series “Rez Bluez” season 1 and 2 on APTN. Dave has formed a new band that will showcase his vast talent and ethno-musicological background. Rounding out the group on bass is Kenny Neal Jr., on keys is Soha Radjpoust and on drums is Walter Maclean. Dave is currently working on a cd to be recorded in 2012 as well as a book/DVD of fingerstyle guitar technique.